Kerry's Shane Enright and Barry McHugh of Galway. 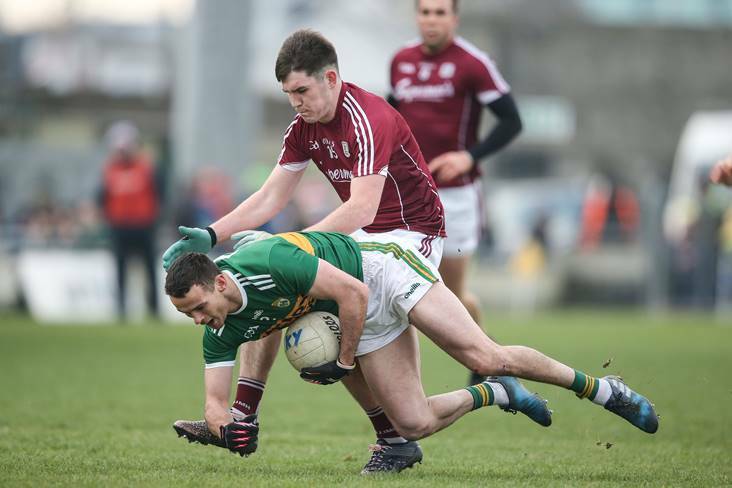 Kerry's Shane Enright and Galway's Damien Comer aren't overly concerned about the fact their Super 8 encounter is clashing with the World Cup final this Sunday. The two will have more important things on their mind than worrying about what's going on in Moscow! Speaking to BBC Sport at the launch of the All-Ireland championships in the Aran Islands yesterday, Enright remarked: "It (the World Cup final) comes round once every four years and people like to watch the soccer as well so it might mean there mightn't be the same crowd in Croke Park because people will stay at home and flick between both on TV but it doesn't bother me too much." Galway captain Comer echoed those sentiments: "I wouldn't be a massive, massive soccer fan although obviously I'd have watched a few games during it. "I wouldn't go out of my way to watch it."